Follow along below to make a bubble map of your own. 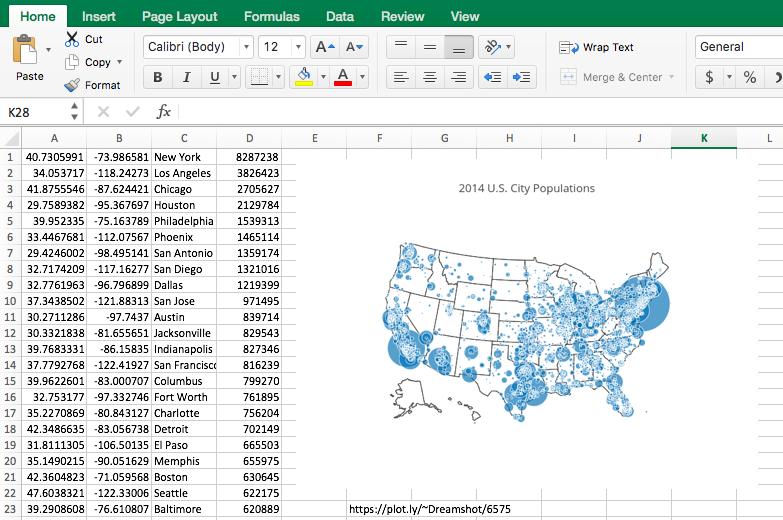 Open the data file for this tutorial in Excel. 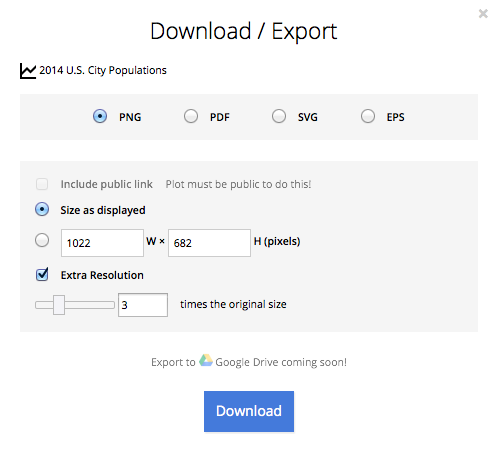 You can download the file here in CSV format. Label your columns like we did below. 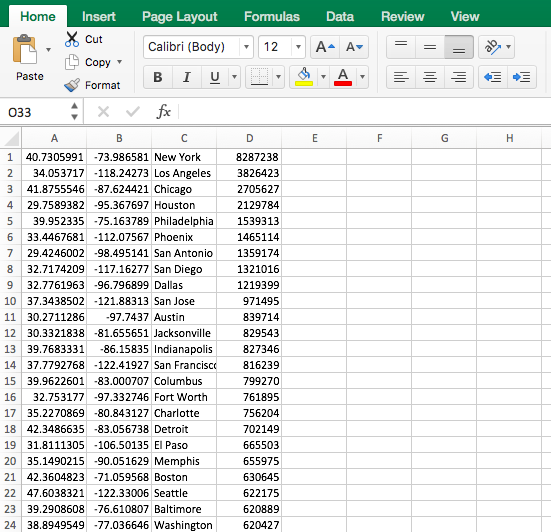 You’ll have a column for latitude and longitude. 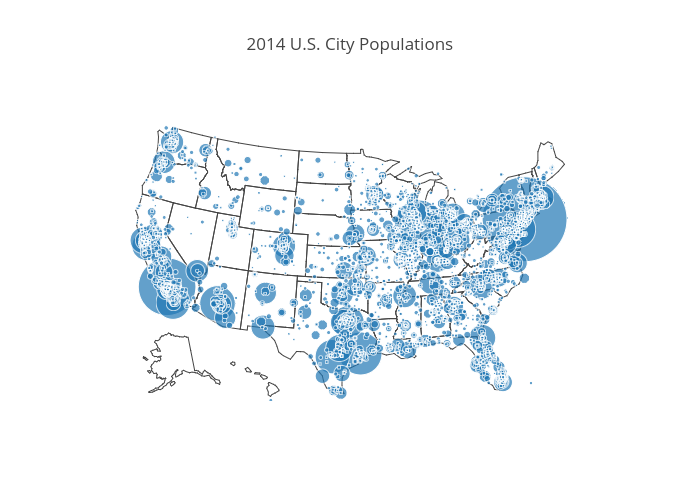 Then, click both the “Size By” and “Text” options on the left; assign “Text” to the city and “Size By” to the population. 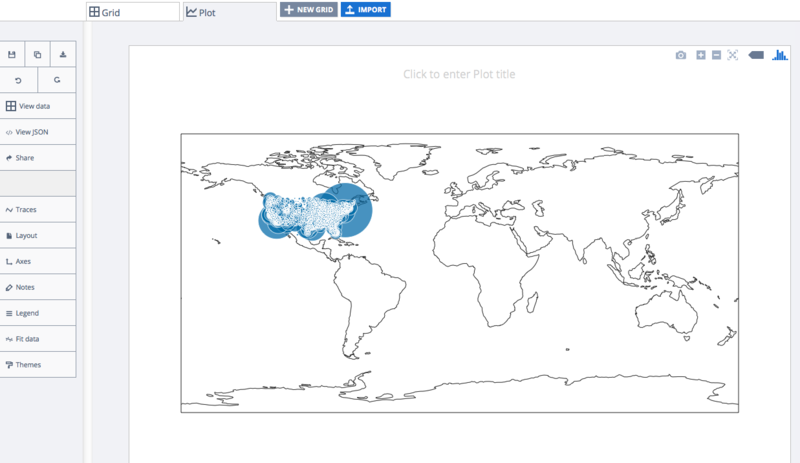 Select “Bubble map” from the MAKE A PLOT menu and then click bubble map in the bottom left. Your plot would initially look something like this. 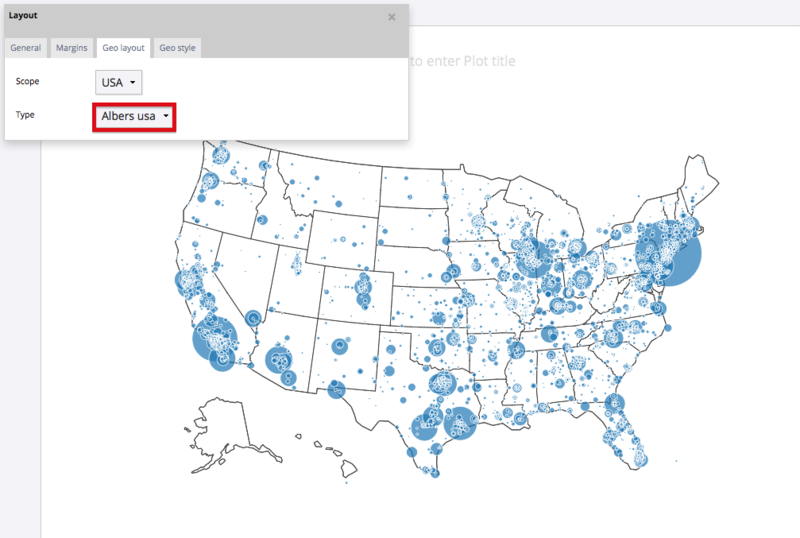 Since our data only encompasses the U.S., we can change the map layout to focus on the Lower 48, Alaska and Hawaii. 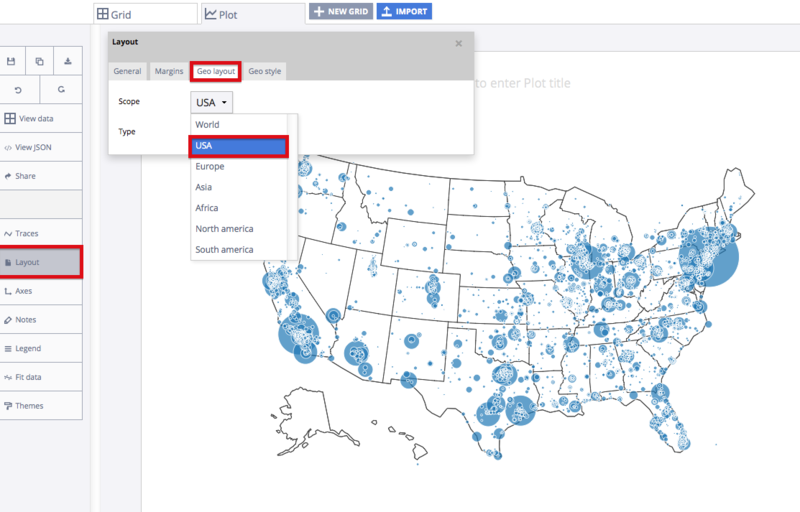 Head to the LAYOUT popover, then select the “Geo layout” option and select “USA” within the scope dropdown. 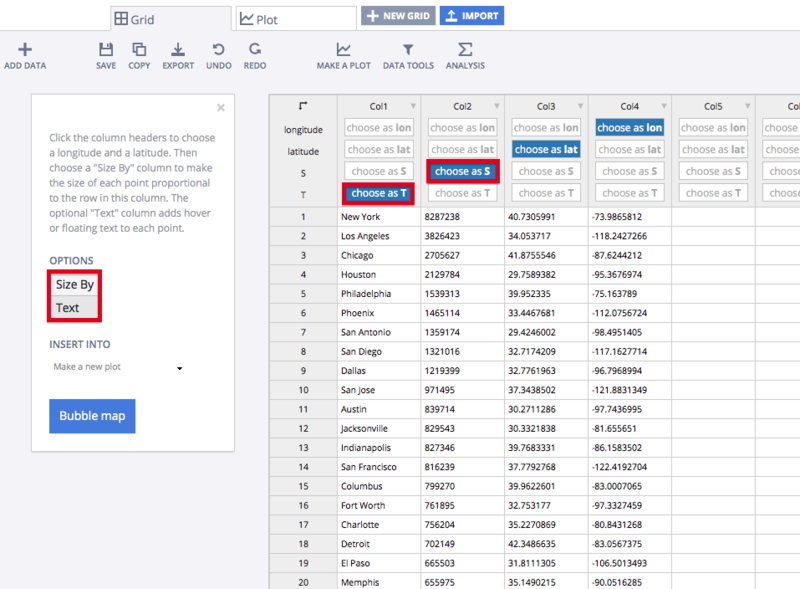 You can just the “Type” of layout within the dropdown. We suggest going with “Albers usa” for this plot.